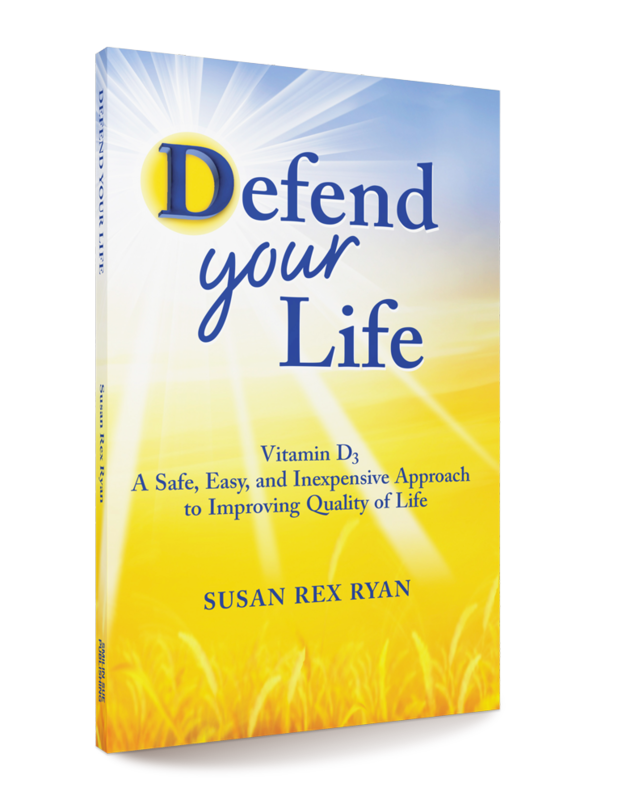 Susan Rex Ryan is the award-winning author of the Amazon bestseller Defend Your Life about the awesome health benefits of vitamin D including the potential prevention of autism, cancer, diabetes, heart disease, and multiple sclerosis. 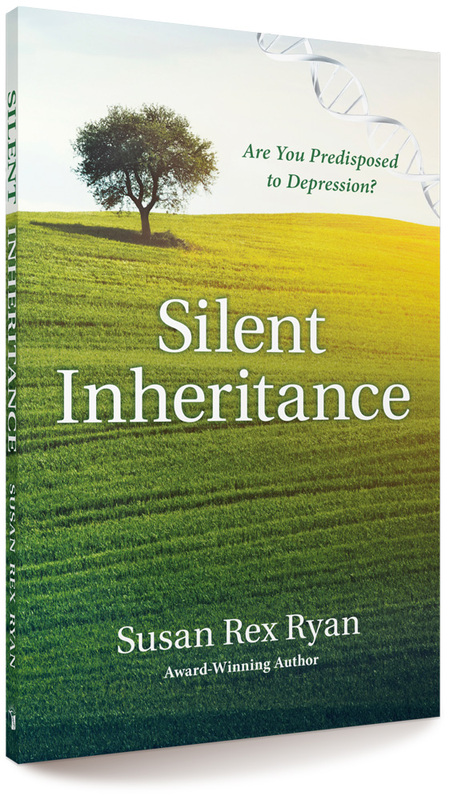 Ms. Ryan’s health articles have been published on Hormones Matter (TM), Lucine Health Sciences website, and in Choices Magazine. 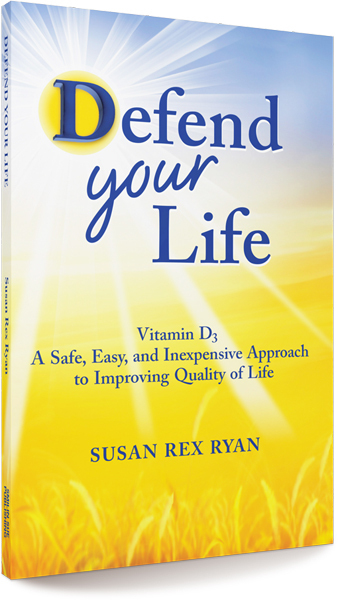 Sue has also been featured on recent radio shows where she discussed vitamin D’s benefits. 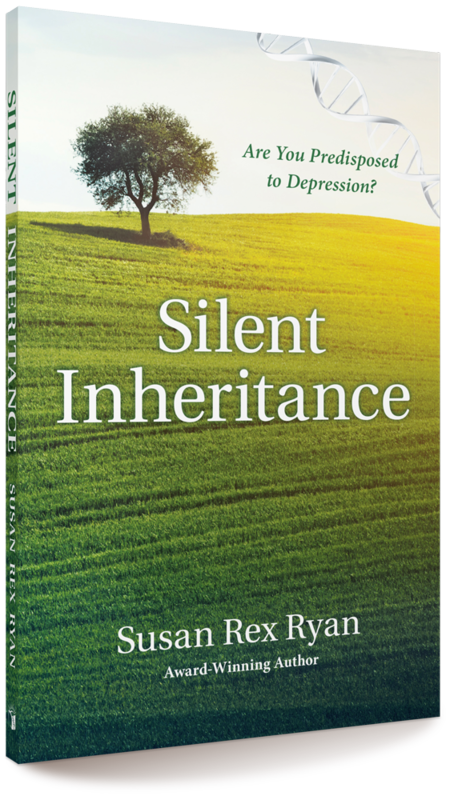 Sue Ryan possesses a Bachelor of Science degree from Georgetown University and a Master of Science degree from the U.S. military’s National War College. In addition, she has earned scores of Continuing Medical Education (CME) credits from accredited U.S. medical programs approved by, inter alia, The American Academy of Family Physicians. 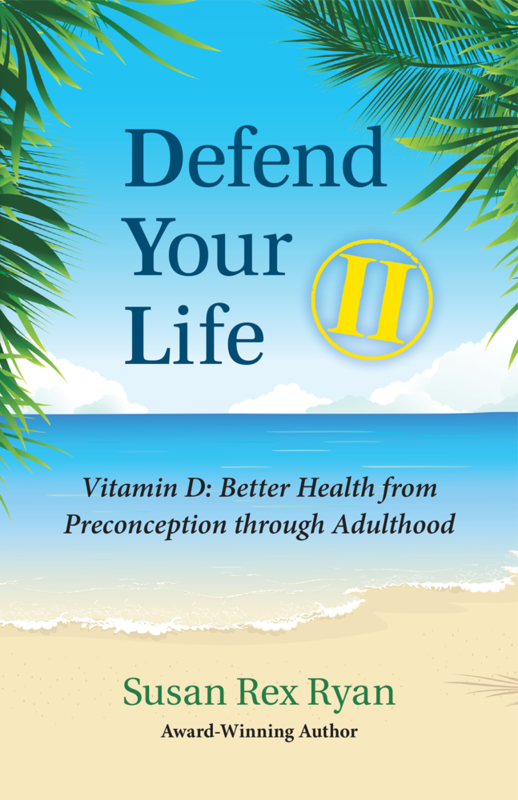 Her professional memberships include the Vitamin D Council, the American Academy of Anti-Aging Medicine, and the Independent Book Publishers Association. Born and raised in the Philadelphia, PA area, Sue enjoyed a career with the U.S. government where her service included leading non-proliferation efforts for nuclear and chemical weapons security. Formal recognition of her achievements includes the Office of the Secretary of Defense’s Exceptional Civilian Service Award and the U.S. Department of State’s Meritorious Honor Award. 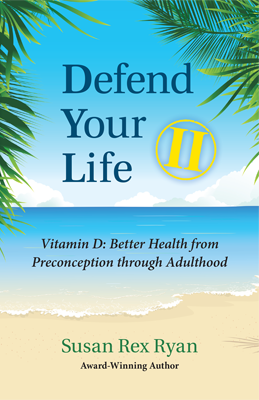 For the majority of her life, Sue Ryan endured an undiagnosed vitamin D deficiency from lack of adequate sun exposure, a common situation for millions of people living outside the equatorial region. 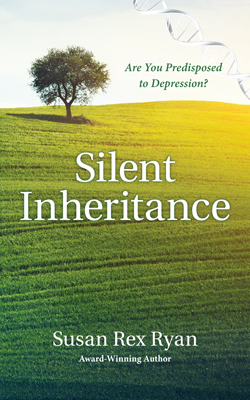 After retiring in her early 50’s, Sue parlayed her science background with a quest to attain a medical understanding of hormonal imbalance. 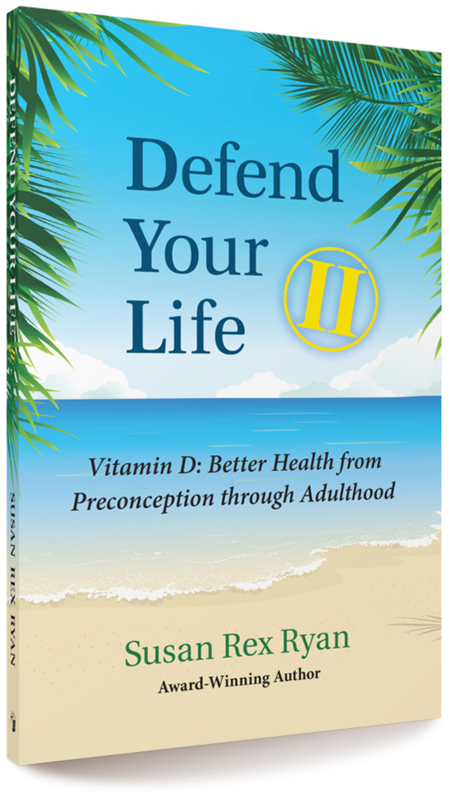 She attended medical conferences, seminars, and workshops to learn about vitamin D and other hormones from renowned experts. 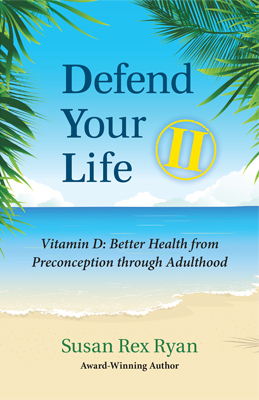 Having extensively researched compelling medical findings about vitamin D’s benefits, Sue successfully became “vitamin D healthy.” She shares her impassioned self-help success and knowledge about vitamin D in Defend Your Life with the hope that the information in her book will empower the health and quality of life of many people. 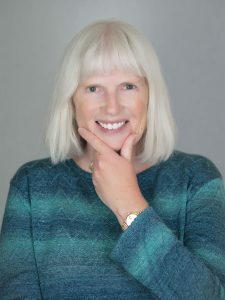 Sue Ryan holds a Bachelor of Science degree from Georgetown University and a Master of Science degree from the U.S. military’s National War College. In addition, she has earned scores of Continuing Medical Education (CME) credits from accredited U.S. medical programs approved by, inter alia, The American Academy of Family Physicians. Her professional memberships include the Vitamin D Council, the American Academy of Anti-Aging Medicine, and the Independent Book Publishers Association. 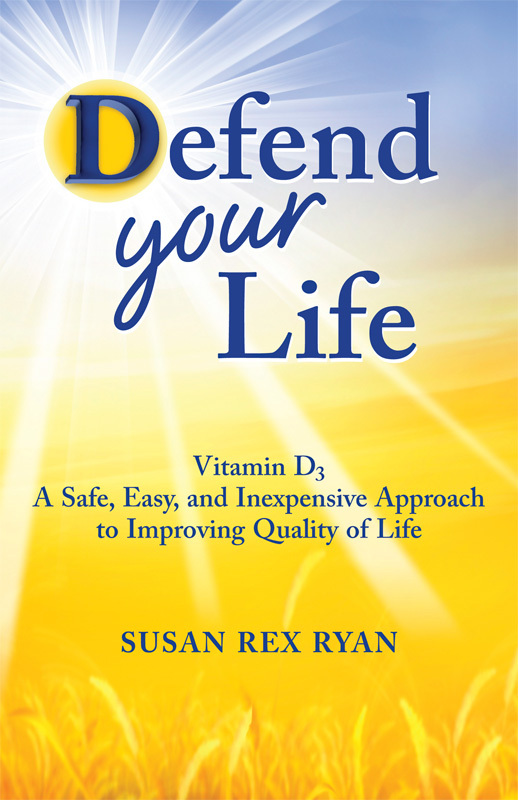 Susan Rex Ryan is award-winning author of Defend Your Life about the awesome health benefits of vitamin D including the potential prevention of chronic medical conditions including autism, cancer, diabetes, heart disease, and multiple sclerosis. 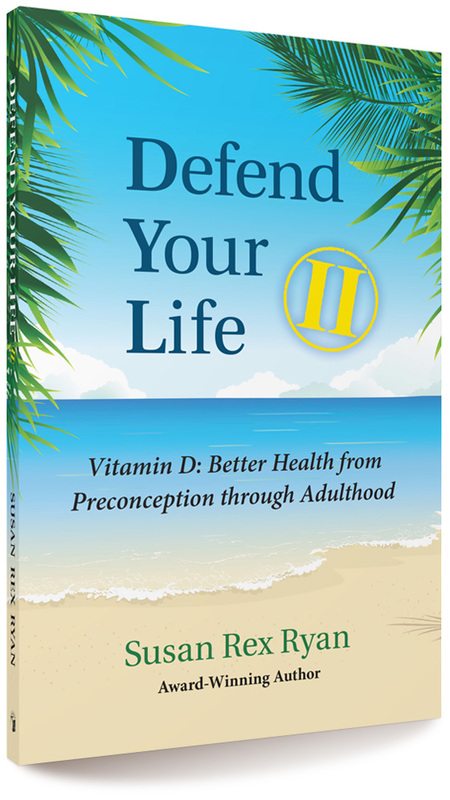 Her health articles have been published on Hormones Matter (TM), Lucine Biotechnology, Inc., website and in Choices Magazine. Sue has also been featured on recent radio shows where she talked about vitamin D’s benefits.